With the amendment in regulation in May 2009, it has since turn out to be obligatory for property dealers to own and present a legitimate Electrical Certificate of Compliance or ECOC to the buyer. 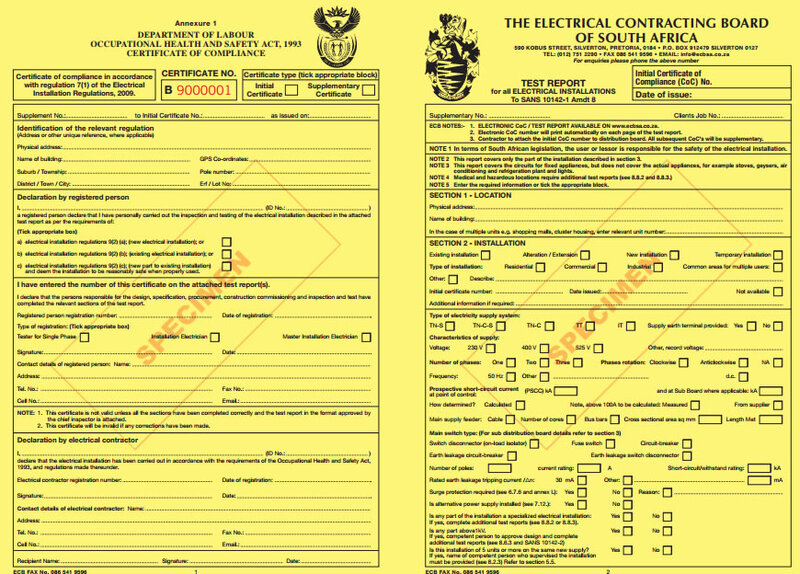 In essence, the document attests that the entire electrical works, as well as the supplementary installations, have been scrutinized and act in agreement with the legislations imposed by the South African National Standards. According to the CEO of RE/MAX of Southern Africa, Adrian Goslett, before the contemporary legislative modification was put into effect, the ECOC certificate could plainly be conveyed from one proprietor to another with no restrictions since the document never expired. Even more, the certificate did not present any changes that were performed to the electrical installation. Here, the seller may well hand over the new owner, the unvarying electrical certificate, which was presented to them when they acquired the property. Notably, this could be done in spite of the period that had passed. Goslett further stated that the current regulation specifies that the ECOC is only legitimate for a two-year term. As such, a seller will be obligated to acquire a new ECOC through the services of a certified electrician if any electrical modifications were made in the course of the two years or if the seller is in possession of an ECOC that is beyond this period. Furthermore, the conveyancing attorney will request the original compliance certificate before the property registration takes place during the process of the sale of the ownership. The document will then be transferred to the new owner of the asset to keep hold of, as they are obligated by law to submit the certificate to an inspector on request. 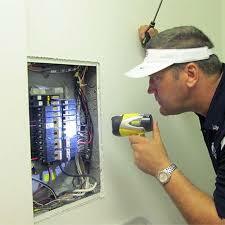 Why You Need To Have A Valid Electrical Compliance Certificate! Goslett also says despite it being a legislative obligation, there are two rationalizations as to why a legitimate ECOC is vital for a property owner to possess. The first reason is that the document is supposed to confirm that the electrical work as well as any additional installations are harmless to the occupants of the property and are up to code. The second reason considers the insurance standpoint. To that end, an insurance company will require a proprietor to produce an official electrical certificate if a property is subject to any damage as a consequence of an electrical fault. In this case, the insurance company could dismiss the homeowners claim if they are unable to present the ECOC. The legislation guarantees that the proprietor brings into play a licensed electrician who is registered with the appropriate authorities. 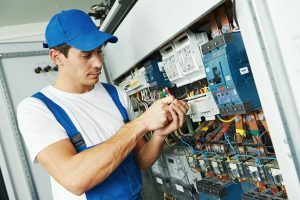 The electrician must be in possession of a wireman’s license or be operating under the undeviating guidance of an individual with such a permit. Contractors without the necessary credentials will not have the ability to offer an electrical compliance certificate in the performance of their work, says Goslett. The duty is on the title-holder to request to view the officially recognized certificate before a certified electrician starts any electrical work. All the electrical work from the supply will be covered from the ECOC, which is the supply board, to the consumption point. This would comprise wiring, all electrical connections, light fittings, as well as the electrical sockets. Goslett says, provided there is electricity during the connection, the actual light bulbs will not require replacement to acquire an ECOC. In this respect, as a sale provision, all electrical connections are required to be operational, and the bank might implore that all lights are working properly. Once the ECOC and property have been conveyed into the name of the new proprietor, any reformation or alteration undertaken will not be covered. Therefore, covering the additional installations will require a separate certificate. Once all additions or reconstructions have been performed to the property, the whole system will need to be inspected, and an exclusively new document is supposed to be issued covering the entire electrical work, he says. If the landlord has rented their home to an occupant, the owner will need to present a copy of the ECOC to the renter for their documentation. Nonetheless, the owner will keep hold of the original certificate. Goslett says the regulation proscribes any property to be leased out exclusive of the owner having a legitimate ECOC in their possession. If a landlord enlists the assistance of a rental agency, the rental agent will need the proprietor to present them with the certificate before they assist in finding an occupant. Therefore, the property owner will have to guarantee they are in possession of the entire essential documents in order before leasing their property, informs Goslett. Furthermore, he says, if the proprietor has chosen to set up electrical fencing as a security appraisal, where applicable, the Electrical Fence System Compliance Certificate will now be needed. It is vital to understand that the Electrical Fence System Compliance Certificate and the ECOC are two documents that are separate and different. Given the 2011 Electrical Machinery Regulations (the regulations), issued under the rule 12 of the Electrical Machinery Regulations, and the 1993 Occupational Health and Safety Act 85, 2011 enforces a responsibility on the homeowner of an electric fence system to be in possession of an electric fence system compliance certificate. Notably, this obligation is not relevant to a structure in existence before 1st October 2012. Once the property owner has been issued the certificate, it is transferable; therefore, the proprietor will not be required to get hold of a new one in the process of changing the ownership of the property. Nonetheless, the ECOC certificate will be needed where there is the change of ownership of the property where the system exists if a new owner takes possession of the property from 1st October 2012 or where an alteration or addition is affected by the system. It is critical that an approved installer certifies the electric fence system. Goslett says in spite of whether a compliance certificate has exceeded its date of expiry or not, it is an excellent upholding practice to inspect all the electrical systems to establish any faults or damage. Maintaining wiring and electrical systems in a property in good working order will guarantee that it remains secure for its tenants.